We, the undersigned Palestinians and Palestinian organizations in shatat and exile, write today to express our firm opposition to the resumption of bilateral Israeli/Palestinian negotiations under U.S. auspices in Washington DC, today, July 29. For twenty years, the negotiations have not served Palestinian interests. Through countless sessions of futile negotiations, Israeli settlement construction has escalated, thousands of Palestinian political prisoners are held behind bars and Palestinian rights – including Palestinian refugees’ right to return – are no closer to implementation. 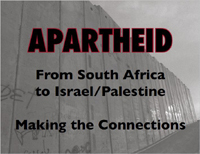 While the Netanyahu government is planning the massive dispossession of Palestinians in the Naqab via the Prawer Plan, the negotiations serve only to provide a thin veneer of legitimacy to the aggressive policies of Israeli occupation and apartheid. Our rights – the rights of the Palestinian people – and our land – the entire land of Palestine – are not for sale or bartering at the negotiations table. That this process is presided over by the United States government, which provides $3 billion annually in military aid to Israel, and specifically by Martin Indyk, former research director at infamous Israel lobby organization the America Israel Public Affairs Committe, only adds insult to injury and makes clear that these negotiations will bring nothing of value or benefit to the Palestinian people. Today, we say: PA President Mahmoud Abbas does not represent us! Our rights cannot and will not be bargained away at a negotiating table in Washington, DC. Instead, we affirm that the Palestinian people are one people and our cause is one cause. Our people have struggled for 65 years in order to achieve the liberation of the land and people of Palestine and the implementation of the right of Palestinian refugees to return their homes. As Palestinians in shatat/diaspora, we are not being represented here, and we demand to reclaim our voice and role. We do not accept these negotiations, and our rights, our people and our land are not for sale! It is a shame that John Baird and his boss Stephen Harper haven’t learned yet from Canada’s colonial past. 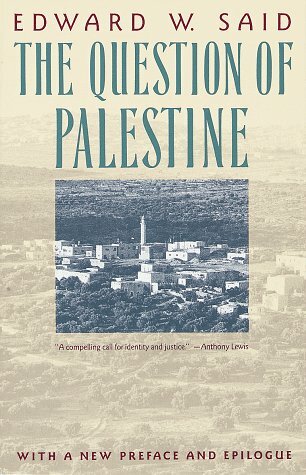 For over a century, the Palestine question has been described as the most complex political issue of our modern time. 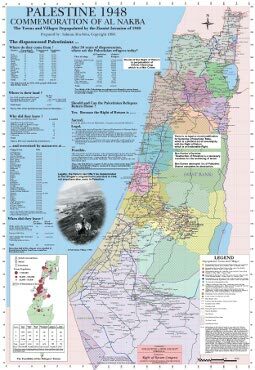 A very “complicated” equation that after a half of a century of Zionist colonization to set up and establish a colonial “Jewish state” in Palestine, a mathematician, none other than Einstein himself, had something to say about the crimes committed in his name as a Jew, and in the name of Judaism. It didn’t require more than three lines to solve this “complex” matter, and it seems that Einstein was very confident in naming the culprits for the “catastrophe in Palestine”, as he precisely described it. “I remember how it all began. The whole state of Israel is a millimeter of the whole Middle East. A statistical error, barren and disappointing land, swamps in the north, desert in the south, two lakes, one dead and an overrated river. No natural resource apart from malaria. There was nothing here. And we now have the best agriculture in the world? 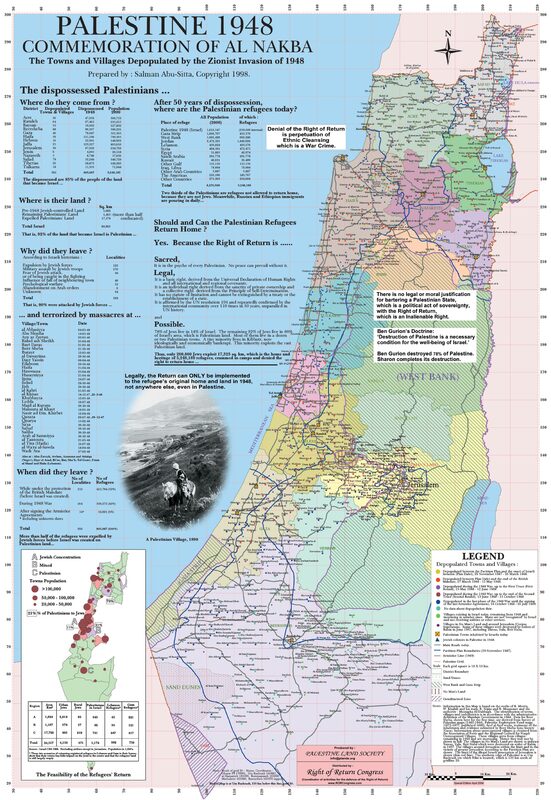 This is a miracle: a land built by people” (Maariv, 14 April 2013). This fabricated narrative, voiced by Israel’s number one citizen and spokesman, highlights how much the historical narrative is part of the present reality. This presidential impunity sums up the reality on the eve of the 65th commemoration of the Nakba, the ethnic cleansing of historic Palestine. The disturbing fact of life, 65 years on, is not that the figurative head of the so-called Jewish state, and for that matter almost everyone in the newly-elected government and parliament, subscribe to such views. The worrying and challenging reality is the global immunity given to such impunity. 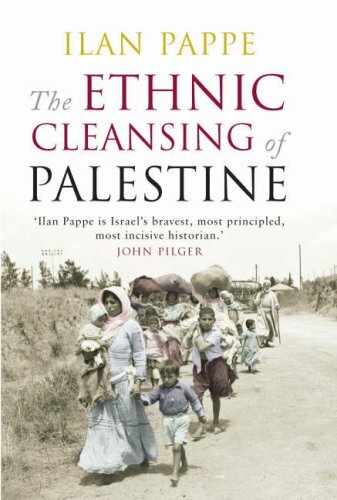 Peres’ denial of the native Palestinians and his reselling in 2013 of the landless people mythology exposes the cognitive dissonance in which he lives: he denies the existence of approximately twelve million people living in and near to the country to which they belong. History shows that the human consequences are horrific and catastrophic when powerful people, heading powerful outfits such as a modern state, denied the existence of a people who are very much present. The ideology, or political project, of Zionism which underlies the creation of the State of Israel had, in fact, a Christian origin rather than a Jewish one, as writings can be found dating from the 1500’s, written by Christian clergymen in England advocating the migration of Jews to the Holy Land. The first Jewish presentations of Zionism were written by Moses Hess in 1862 and 20 years later by Leo Pinsker, both of the Russian Pale, with each writer advocated a separate state for Jews. Twentieth century Zionism was initiated by Theodore Herzl who, likewise, advocated a separate state for Jews in his book in his book, Der Judenstaat, written in 1896. One year later he formed the World Zionist Congress which held its first meeting in Basel Switzerland in that same year.